Each staff member at Ada Hospital for Animals is dedicated to providing the best care possible for your pet. 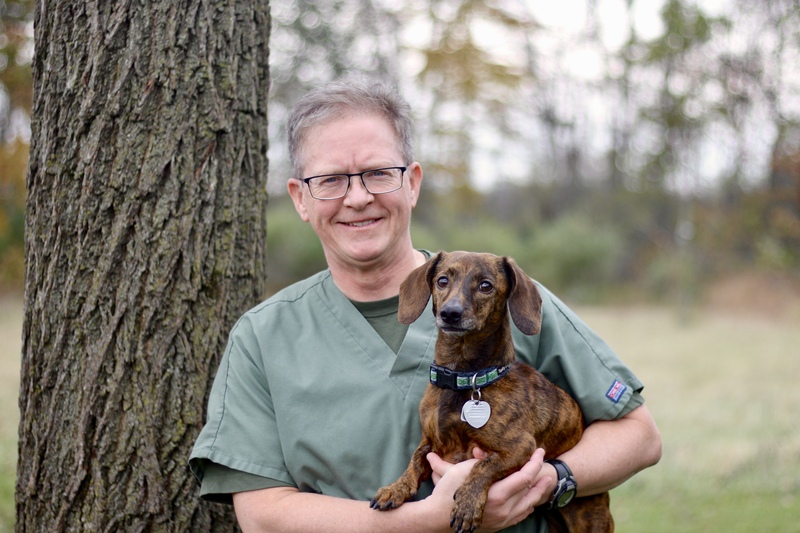 Dr. VanDenBrink spent seven fun-filled years at Michigan State University, getting his Bachelor of Veterinary Science Degree in 1983 and then his Doctor of Veterinary Medicine Degree in 1987. Dr. VanDenBrink's special interests include dermatology and internal medicine. Dr. VanDenBrink tries to be an avid weekend athlete and loves to ride bike as often as possible. 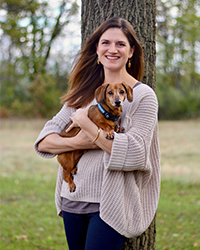 Dr. VanDenBrink lives in Grand Rapids with a fur family that consists of a two Dachshunds, Baxter and Joey. Dr. Juergensen is a Grand Rapids native, raised in the Cascade/Forest Hills area. 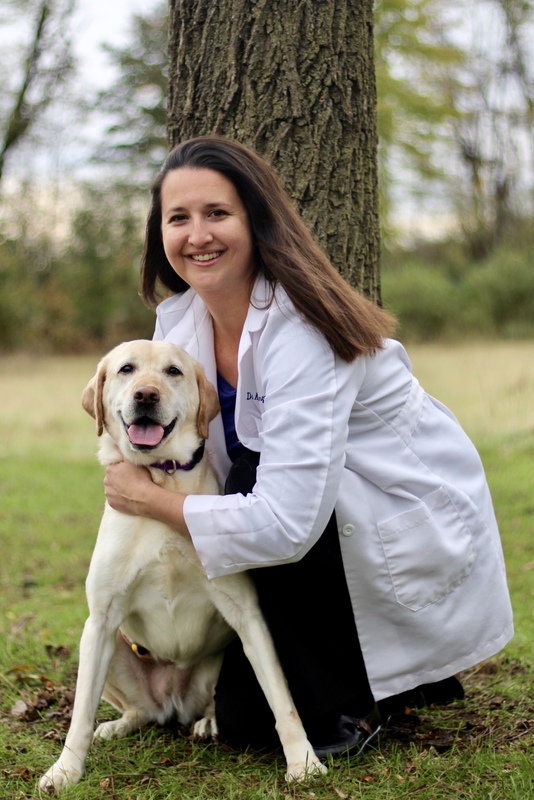 Her undergraduate work was completed at the University of Michigan in Ann Arbor and then she pursued her dream at Michigan State University’s College of Veterinary Medicine, graduating in 2006. 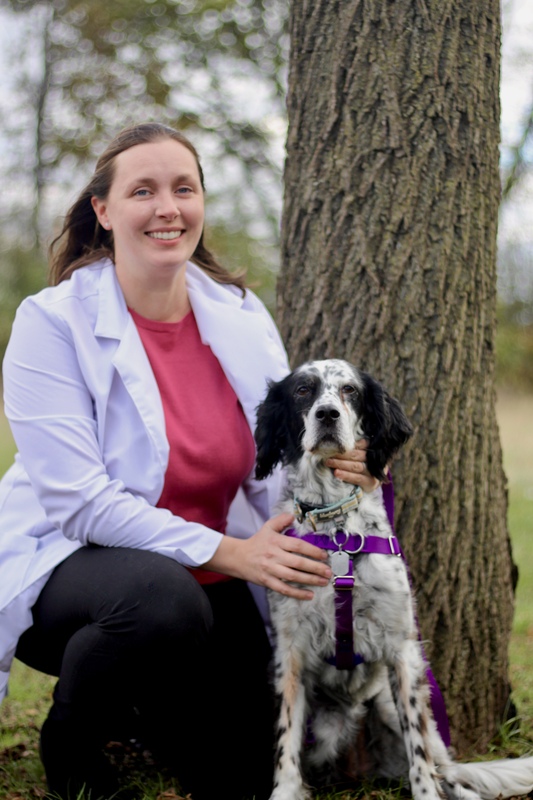 Dr. Juergensen is kept busy by her four year old son, Jacob and two year old daughter, Millie and has two Labrador Retrievers, Olive and Rudy. During her free time, she enjoys yoga, traveling to Grand Haven in the summer, mentoring MSU veterinary students, visiting local farmer’s markets and contributing to her church MOPS group. Dr. Lam is a Rockford native and earned her Bachelors of Science in Zoology as well as her DVM at Michigan State University. She initially practiced in Illinois and later returned to Rockford to be closer to family. She keeps busy with her three children: Effie, Nora and Jackson. They, in turn, are kept busy by her menagerie of pets: one English Setter, chickens and ducks, and a sassy long-haired cat named Ferdinand. In her free time, she enjoys gardening and home projects with her husband, Tony. Sheri began working at Ada Hospital for Animals when it opened in 2006 and worked with Dr VanDenBrink seventeen years prior to the opening of Ada Hospital for Animals. 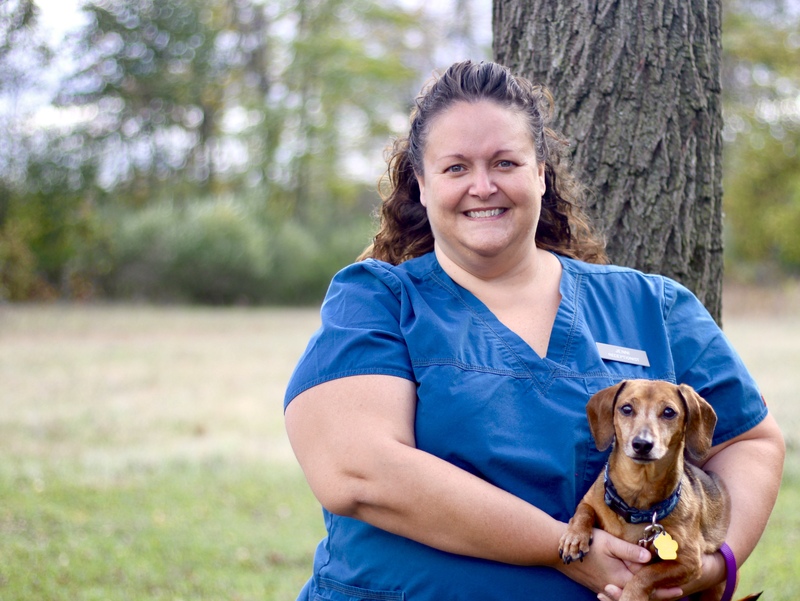 Sheri is a certified Veterinary Assistant, but starting in 2018 transitioned into the role of Accounts Manager. You will still see her assisting in surgery on Mondays and in appointments occasionally. Sheri loves spending time with her three cats, Olive, Reuben and Feta and her dog, Prada. She also enjoys gardening, cooking, and traveling and exploring new places with her husband. 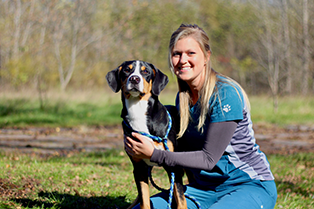 Jenni started at Ada Hospital when the practice opened and previously worked with Veterinary House Calls of Grand Rapids. Jenni has a love for people and is very understanding and kind when helping answer client questions or concerns. Jenni and her husband live with a Boston Terrier, two cats and their wonderful little boy. 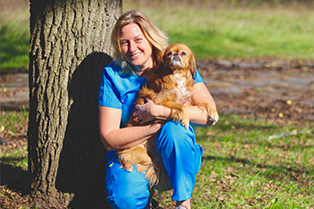 Marcia has worked in the veterinary field for several years and started at Ada Hospital in 2009. She is very involved in cat rescue and enjoys learning new things about Veterinary Medicine. Marcia is cheery, friendly and always has a smile on her face. Marcia has a full family with her husband, four daughters, three cats and dog, Martin. 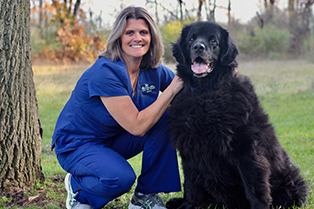 Kelly retired from the City of Grand Rapids in 2012 and returned to work in her first love, veterinary medicine. She is married and has two daughters. Kelly’s home is filled with rescued pets including her dog Lily, three cats, and 4 horses including two off the track thoroughbreds. When she’s not working, Kelly likes to ski, garden, cook, and spend time with her two and four legged family members. Kellie has been working with companion animals for over 10 years. She believes that pets are very important family members, which is why she loves assisting the doctors as they treat our patients. Kellie graduated from Southern Illinois University Carbondale in 2013 with her Bachelor's degree in Zoology and Animal Science minor. She also has her certificate in companion animal nutrition. Kellie loves spending time with her Labrador Retriever, Ely Blue and her two cats, Jack and Mijo. Liz is a native of Grand Rapids and earned her Bachelors of Administration from Grand Valley State University. She began her management career in human medicine, working with Spectrum Health and Mercy Health systems. 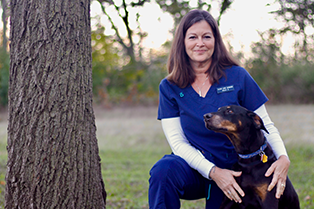 Ada Hospital for Animals is her first go at managing a veterinary hospital. Liz believes all lives have value and should be treated with kindness and respect. She and her husband, Brett, have two sons (Jimmy and Harry), and two feline friends (Tootsie and Tiny). Liz enjoys cooking, eating, family time, dancing and extreme cardio classes.